This is another Giada recipe, and let’s face it, she’s awesome. We have tried very few things of hers that we haven’t liked. This particular recipe really caught my eye because it’s so different. The only thing I changed was to put an orange glaze over the top whereas she used a carmel walnut sauce. I couldn’t imagine ruining the orange cranberry cake with carmel rather than more orange flavor, so I changed it and this is the version we stick to. 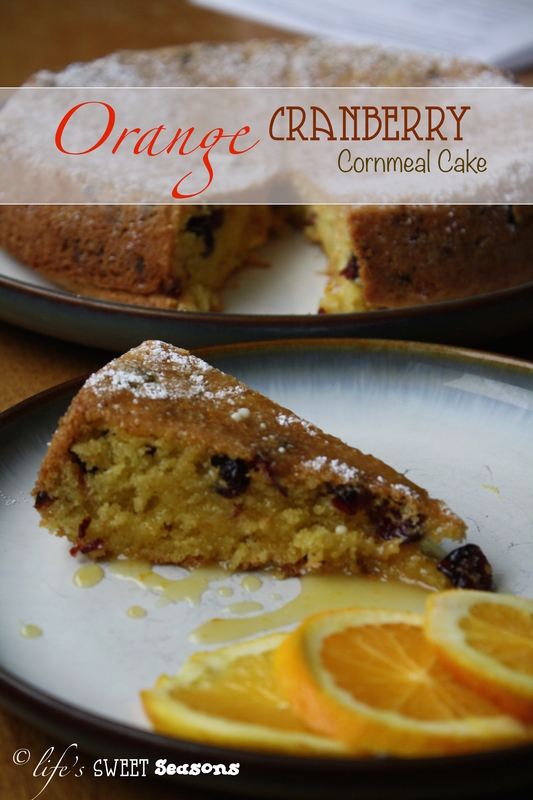 The cornmeal in the cake definitely comes out in the texture which I love; it makes this cake kind of rustic and country, while the cranberries and orange glaze make perfectly sweet. Since cornmeal is healthy I feel a whole lot less guilty eating a slice for breakfast. Besides, there’s orange juice in the glaze. 🙂 Good morning, sunshine. Put an oven rack in the center of the oven. Preheat the oven to 350 degrees F. Butter and flour a 9-inch round cake pan. In a medium bowl, whisk together the flour, cornmeal, baking powder, salt, and orange zest. Measure 3 tablespoons of the flour mixture into a small bowl. Add the chopped cranberries and toss until coated. Using a stand mixer fitted with a paddle attachment, beat the butter and sugar on medium speed until light and fluffy, about 2 minutes. Beat in the vanilla extract. Add the egg yolks and whole eggs, 1 at a time. Gradually add the flour mixture and mix until just incorporated. Using a spatula, gently fold in the cranberries. Pour the batter into the prepared cake pan and smooth the surface with a spatula. Bake until the cake is golden brown, and a cake tester inserted into the center of the cake comes out clean, about 40 minutes. Cool for 20 minutes. 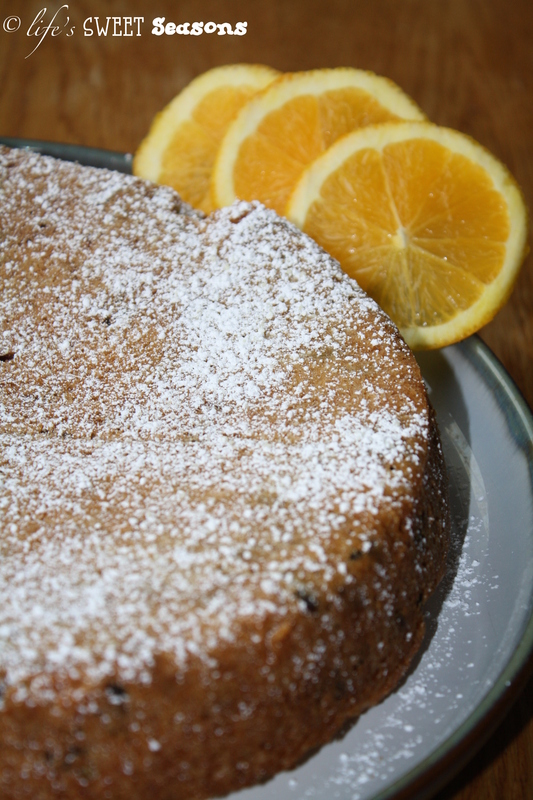 Remove the cake from the pan and transfer to a wire rack to cool completely. Sprinkle the cake with powdered sugar. 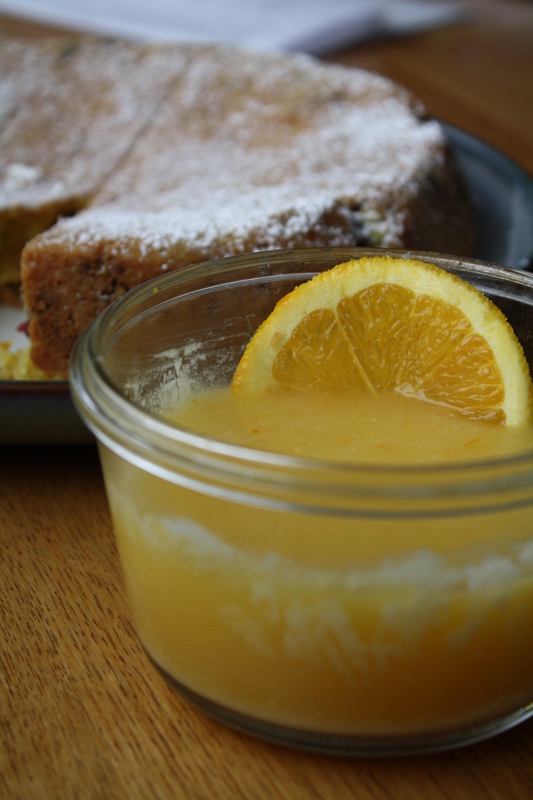 Cut the cake into wedges, arrange on a serving platter and top with the Orange Glaze (recipe follows). Notes – The cake can be made 1 day ahead. Store airtight in a plastic container. 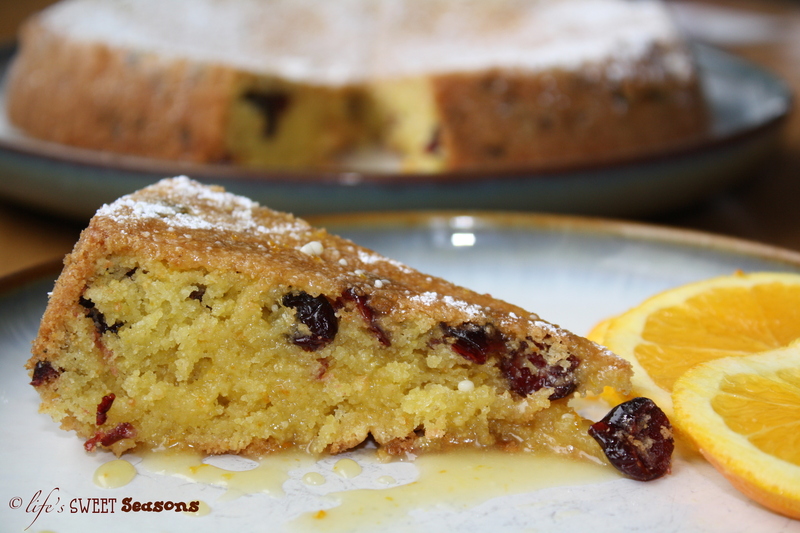 Wow I love this cake recipe, I think orange and cranberry work really with each other! I think so too! I hope you like it!